Posted 12:08 am by Serata Italiana & filed under Latest News, Sponsors. 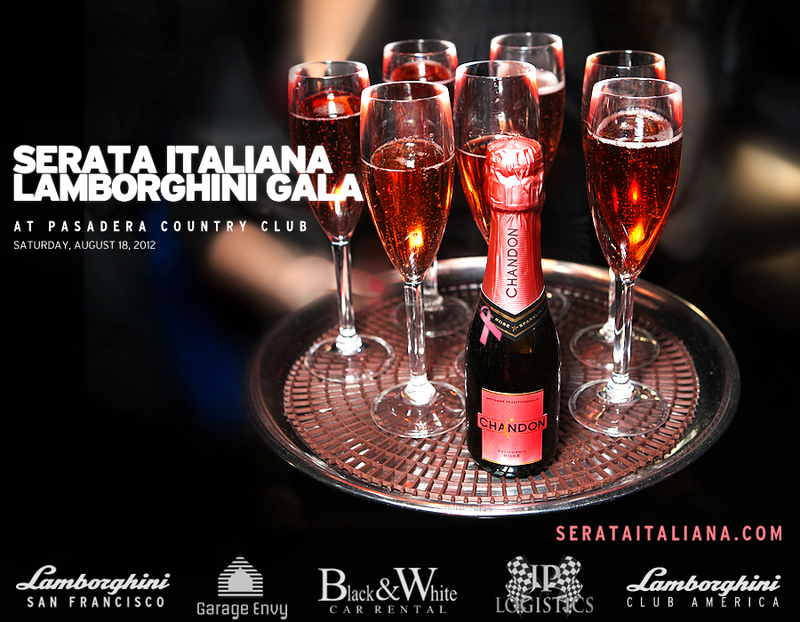 The Lamborghini Club is proud to announce Chandon as an official sponsor of Serata Italiana Lamborghini Club gala. When Chandon founders came to the Napa Valley from France and found the best vineyard land, they saw the unique climate and soil, and considered many grape varieties. Yet after much experimentation, they reconfirmed the superiority of Pinot Noir, Chardonnay, and Pinot Meunier, the traditional varietals of French Champagne. After 30 years of cultivation they are experts in each sparkling varietal, and fortunate to grow them in three of California’s finest appellations: Yountville, Carneros and Mount Veeder. Today Chandon farms 1,000 acres in these appellations and are leaders in sustainable farming. They feel privileged to grow the finest fruit while preserving our environment for future generations.